Great Expectations for Space Application - the Next Generation Power Device, "X-GaN"
Panasonic's next generation chemical compound semi-conductor, GaN power transistor "X-GaN(TM)" realizes significant space and energy savings for a wide range of electronic components. 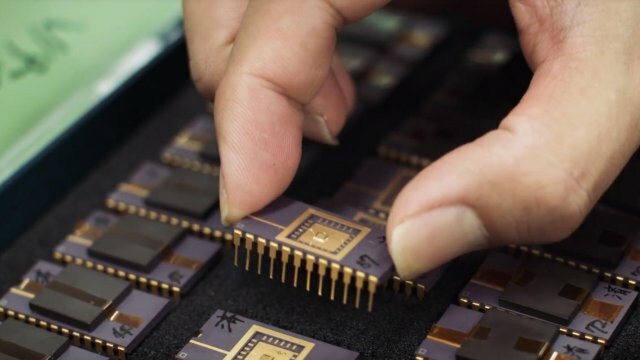 Panasonic began mass production of these power devices in November 2016, and JAXA, the Japan Aerospace Exploration Agency, which plays a central role in Japan's space development, has high expectations for these power devices. This video introduces how the X-GaN(TM) is being developed with space application in mind, as well as comments from researchers involved in the R&D. Tsukuba, Japan - At the Tsukuba Space Center located in Tsukuba City, Ibaraki Prefecture, research and development of rockets and satellites as well as their underlying technologies are underway. Research Unit 1 is in charge of developing navigation guidance control, telecommunication systems, space power systems, and electronic devices, and is looking at potentially using Panasonic's "X-GaN(TM)" in its development of space technologies, and has already begun evaluation and validation of the "X-GaN(TM)." Mr. Eiichi Mizuta, a member of the Research Unit 1, who is specifically in charge of electronic devices, said, "Space is an extremely harsh environment. In particular, space radiation can cause damage to electronic devices, so we need to have countermeasures." Majority of the semiconductors used in space are made of silicon. But there is a limit as to how much radiation they can withstand, so there was a need for superior devices. "We performed radiation tests with Panasonic 'X-GaN(TM)' using Xenon Ions, which we often use for space evaluation. These tests proved that the 'X-GaN(TM)' is highly resistant to radiation. It is rare for a commercial-off-the-shelf device to be so robust against radiation, so we were really surprised" added Mr. Mizuta. Moreover, Mr. Mizuta also stated that "X-GaN(TM)" devices enable faster switching. When applied to satellites, they can help reduce payload mass, which makes them very attractive since satellites have strict payload mass limitations. "Because GaN devices help save weight and thereby allows the weight to be used for other high performance components, they are very effective for our space development." Mr. Mizuta also expressed his expectations for Panasonic. "Panasonic's 'X-GaN(TM)' has a high potential to become the next generation space component. We hope to continue to work closely with Panasonic to develop even better devices for space."